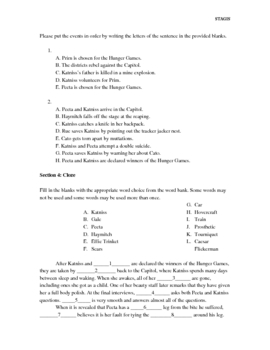 This is a final test to be given after the completion of The Hunger Games by Suzanne Collins. 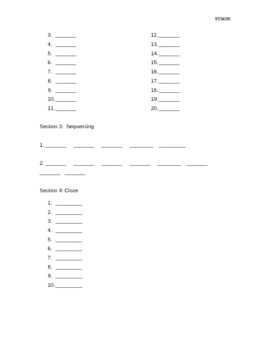 The document includes the test book, the answer book for students to record their answers, and the answer key, excluding the essay. 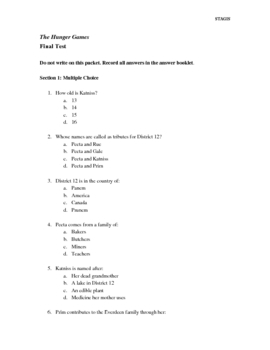 This test includes all key concepts and characters. This test is very easily modifiable and many sections can be pulled out to use as tests or study guides, as it follows the book almost sequentially. There is no length requirement on the essay, and the rubric is easily modifiable. Please see the preview for samples of each section.